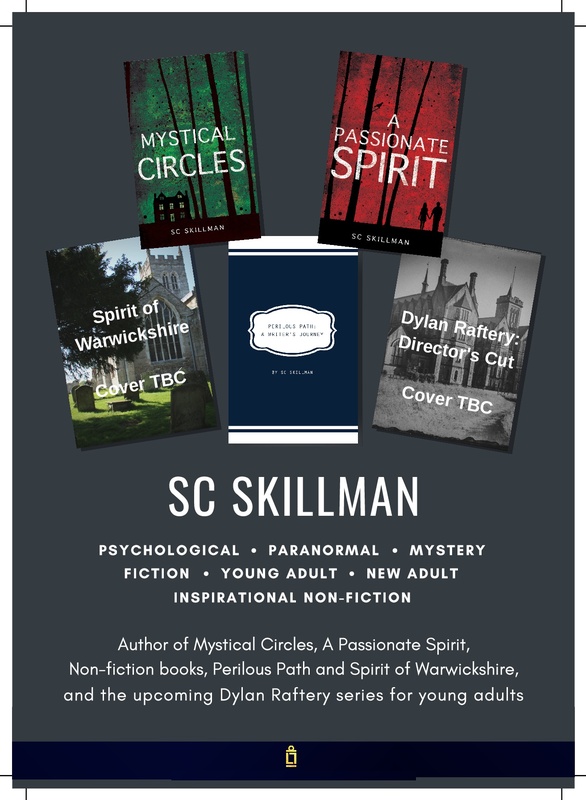 Next: Next post: Mystical Circles Romance and Psychological Suspense Free Promotion Bonanza! Who was he? “That King they found in the car park in Leicester”. This will have been the phrase on many lips, of those who, with little historical knowledge, will nevertheless find this a topic of conversation with friends. 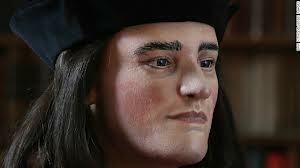 The story of Richard III to me illustrates how nothing in this life can guarantee any particular outcome. And as I read “the book that inspired the dig”: The Last Days of Richard III and the fate of his DNA by John Ashdown-Hill, this was brought vividly alive to me. According to Ashdown-Hill, historian, genealogist, and member of the Richard III Society, Richard III was a young man probably too kind, too naive and too forgiving. If anything sewed the seeds of his downfall at the Battle of Bosworth in August 1485, it was that trust – for he was betrayed by the Stanley brothers, men he could easily have captured and imprisoned in the Tower much earlier, if he’d been sharper and more rutheless. Because his death and defeat on that Bosworth Battlefield meant the end of one dynasty – the Plantaganets – and the beginning of another – the Tudors – a lot of hard work subsequently went into “re-writing history”: blackening his reputation, falsifying his story and character, and destroying historical evidence. I cannot read of a historical figure like Richard III without seeing the parallels between his story and fate, and our own experience in this life. For the basic principles of life do not change. Nothing and no-one can guarantee any particular outcome for us. Not vice, not virtue. Not piety, not betrayal. But of one thing I now feel assured by Ashdown-Hill’s book: where there is integrity and focused persistent research, and rigorous dedication, as in the painstaking work of the best historians and genealogists, truth, ultimately, will out. Though it may be centuries later, and only after hundreds of years of fabrication and half truths and lies and myths. On that day, 22 August 1485, at 8 am, Richard III rode onto the battlefield an anointed King, new marriage plans very much alive, expecting to reign for many more years. At 9.15am he was killed. And later, at 2 pm, he left the battlefield, a mud-and blood-spattered corpse, naked (stripped of his finery by the local scavengers who would have surrounded every medieval battlefield), slung over a horse, later to be tipped unceremoniously into a shallow grave in Leicester. 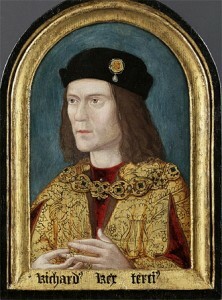 Only nine years later, in 1494, did his successor, Henry VII, cause a tomb to be erected over his grave at the Greyfriars church in Leicester – and then only because it served Henry’s own interests that it be publicly known that Richard III had been a true King, and not a usurper of the throne. I can throroughly recommend Ashdown-Hill’s book; if you love history I believe you too will be fascinated by his methodology, as a historian and genealogist, as he teases out the trustworthy from the untrustworthy, the probable from the unlikely, evaluating the different grades and types of evidence and the quality of witnesses and testimonies against each other. You too may find cause to reflect, as I have done, on the fact that tales about historical figures can often be total fabrication, or embroidered, or half- or quarter-truths, and only rigorous painstaking historical research can correct them. Me too, thanks for sharing! It is amazing to me just how much of history we are not taught or informed about. I will certainly consider this book for future reference. Very interesting piece,and yes pre internet I believed mostly everything I was taught at school.But now the internet has opened my eyes and now I can,be it also carefully check facts and gain more knowledge. Yes, Isa, I admit I use the internet a lot for my research, as I’m sure many do. Sadly though, the same dangers apply, as to all the stories told over the centuries about historical figures like Richard III. People can easily put false testimony on the internet too. We have to be discerning, and follow our instincts and trust our own doubts (that sounds like a contradiction in terms!). I think the value of books like John Ashdown-Hill’s is that he demonstrates every step he has taken, in carefully assessing all types of evidence and witness, and has weighed up different testimonies, and evaluated whether they are trustworthy or not. Having said that, I am about to do some internet research for an aspect of the plot in my new novel, & I’m having to ask myself whether I should rely on it or not, and whether I should really try to get the info firsthand (it’s about police procedure). Perhaps that will be the subject of another blog post!